The Ford Fiesta offers fun and function to fit your life and personality. If you are looking for a new or preowned Ford Fiesta in the northeastern part of Oklahoma, come see us at Vance Ford Lincoln located in Miami, OK. Vance Auto Group has been faithfully serving Oklahomans for over 30 years. We take customer service seriously. Miami may sound small town, but we offer a big city inventory and we will treat you like neighbors – with Oklahoma friendliness and fairness. Come see our Ford Fiestas. Express yourself with a Ford Fiestas which comes with your choice of ten exterior colors as well as seven interior colors. Select the Fiesta sedan with 12.8 cu ft storage area or the Fiesta hatchback with 14.9 cu ft of cargo space to fit how you live your life. Both styles offer the 60/40 split rear seats for flexible use. This small car offers big value—seating up to five while getting an impressive 35 MPG on the highway and 27 MPG in the city. Find the model that fits your needs best with entry-level S and the impressively equipped SE. You may want to check out the sporty 1.6L EcoBoost engine in the Fiesta ST, and the new ST-Line. Ford Fiesta ST combines a turbocharged 197-hp 1.6L EcoBoost engine with a slick-shifting six-speed manual transmission. Note the agile handling, too, compliments of the unique ST sport-tuned suspension components and standard Torque Vectoring Control technology designed to help manage understeer around corners. The latest technology keeps you connected wherever you go. The Ford Fiesta has available SYNC 327 which offers voice-activated and touchscreen commands connecting you to people, music, and the available Navigation System with SiriusXM Traffic and Travel Link. Enjoy the premium sound, courtesy of the available Audio System from Sony with HD Radio Technology. Also listen to the available Sirius XM Radio with over 150 channels, which includes commercial-free music, sports, talk and more. 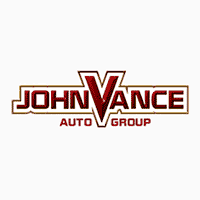 Vance Auto Group includes nine full-service dealerships which gives us a huge selection of new and used vehicles at your fingertips. Come visit us at Vance Ford Lincoln in Miami, OK and discover how committed we are to our customers. Come experience a brand new Ford Fiesta.